The radar systems market is expected to grow from USD 20.29 Billion in 2016 to USD 26.37 Billion by 2021, at a CAGR of 5.39% from 2016 to 2021. The objective of this study is to analyse, define, describe, and forecast the radar systems market on the basis of technology, application, component, range, frequencies band, and geography. The base year considered for this market study was 2015 and 2016 to 2021 was considered as the forecast period. 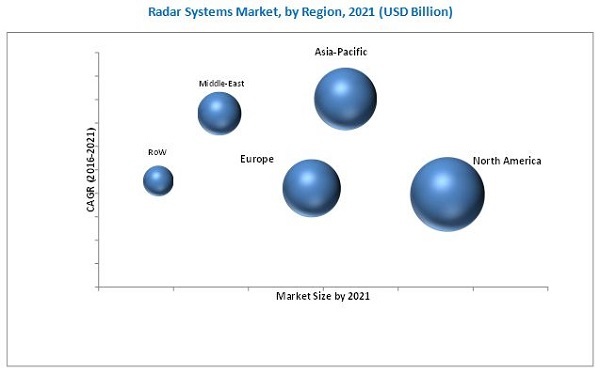 The ecosystem of the radar system market comprises defense establishments, shipbuilding industry, aerospace industry, and manufacturers of radar systems, such as, Lockheed Martin (U.S.), Rockwell Collins (U.S.), and BAE Systems (U.K.) among others. 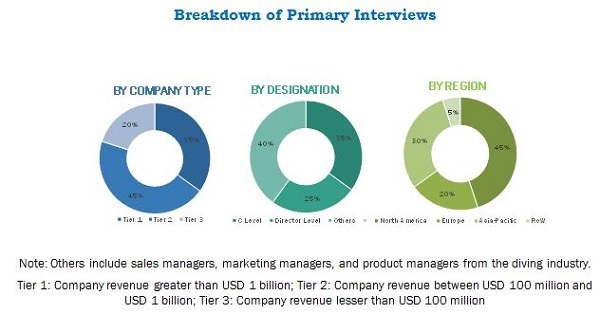 This report is expected to help the suppliers of radar systems, military forces, UAV manufacturers, and regulatory authorities to identify hot revenue pockets in this market. “This study answers several questions for the stakeholders, primarily, which market segments to focus on during the next two to five years to prioritize their efforts and investments”. Based on technology, the radar systems market has been segmented into pulsed radar and continuous wave radar. The pulsed radar segment is expected to lead the market in 2016. This growth can be attributed to the increased usage of pulse radars for efficient and accurate object detection and estimation of its range. Based on application, the radar systems market has been segmented into defense and commercial. The commercial radar segment is expected to lead the market in 2016. This growth can be attributed to the increasing demand for radars across various industries, including automotive and oil & gas. The market in North America is estimated to account for the largest share of the market in 2016, followed by Europe. There is a high demand for unmanned vehicles in air surveillance for homeland security as well as coastal surveillance in the region. The Asia-Pacific radar systems market is expected to witness the highest growth in near future. This growth can be attributed to the increased disputes and unrest among some of the countries in the region, which has led to increased procurement of surveillance systems.